They walk into a coffee shop, and they start writing. A year later, they have a collaborative book of poetry and short stories that highlight the human experience. This is doubt, love, depression and life - told through the lenses of two contrasting belief systems. ​This is inspiration. Like respiration, but "in". The drawing in of breath. It isn't something that comes once a year, once a month, once a day...it doesn't have to be waited for. Inspiration is as natural to the human spirit as breathing - so much that sometimes, we forget it's there. ​We wanted to tell you that...it's still there. A group of writers from around the globe come together to write a book of advice and inspiration for fellow writers. Each mini-chapter is a different topic, from "Finding Inspiration When You Definitely Aren't Inspired" to "How to Create the Perfect Villain". Project Canvas is built around the idea that everyone has an expertise. Everyone has a story to tell. While this book is written by and geared towards teen and young adult writers, Project Canvas will be a valuable craft book for anyone in the business of using words to tell stories. Projected publishing date is Early 2018! 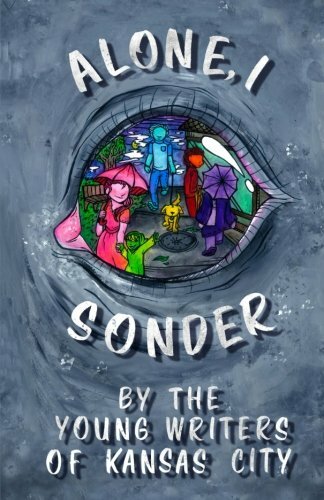 The word "sonder", as defined by the Dictionary of Obscure Sorrows, is the 'realization that each random passerby is living a life as vivid and complex as your own'.